The first in this series of articles looked at identifying watches from the 1990-2018 era that could become future classics. Part 1 highlighted the Rolex Submariner 16610LV. This article, Part 2 of 8 will look at the Rolex GMT-Master II 16760. It has many factors that also point towards it becoming a future classic. First, I am highlighting below the criteria that I used in the first article to guide my thinking. Typically, a collectible watch marks something important in the history of Rolex. It is not always the case, but often it can be. Take the Sea-Dweller 1665, for example. The invention of the HEV came with the 1665 and that marked a very significant point in Rolex history and how it subsequently shaped the company. When a watch has a special importance in the history of Rolex, it can turn that watch into something that collectors demand. immediately notable for its more prominent, thicker case - nicknamed the "Fat Lady" or the "Sophia Loren"
the first GMT to sport the red & black coke insert. The watch was immediately differentiated from other GMT in that it was only ever issued with the coke insert. the very first GMT to have a sapphire crystal. Collectors are turning more and more to this transition era - the sapphire era. the first GMT to use white gold on the dial. 18k white gold was used to surround the hour markers. the first GMT to have an independent centre hour hand that allowed the centre hour hand to be altered independently from the 24-hour hand. Tis marked a new innovation. These factors make the 16760 an important watch for Rolex in terms of its history. It marks a lot of "firsts". The 16760 also has a dial quirk to it too. A very small percentage of 16760s were made with a dial that reads “Oyster Perpetual” underneath the coronet and Rolex. In other words, it misses the word “date”. Most dials have “Oyster Perpetual Date” but a few just have “Oyster Perpetual”. How rare is the 16760? Well, if you type in Rolex GMT-Master II 16710 in Chrono, you will likely get around 400 hits of watches for sale. 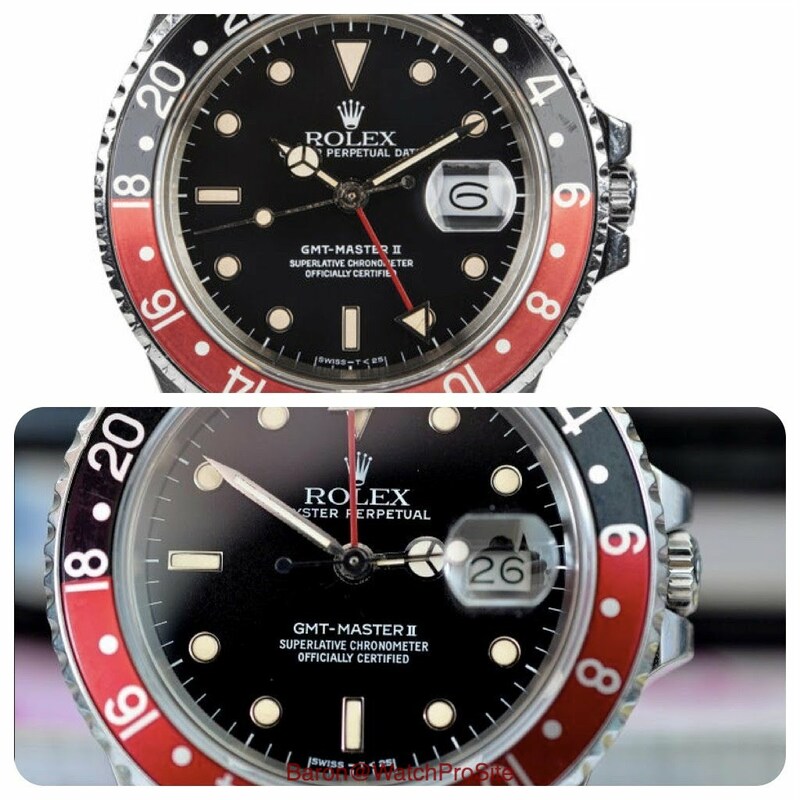 If you do the same for the Rolex GMT-Master II16760, you will see around 15 for sale globally. How many “no-date” versions? Maybe one or two. This is a rare watch either with or without the dial anomaly. Yet it is not exactly priced like a future classic. In fact, most 16760s are priced below where a modern GMT would be priced. I see this watch as very likely to become more and more appreciated as collectors see it for what it is. It has many of the features that collectors deem as attractive. And importantly, it is still priced at a great level for what is an important GMT that is also relatively hard to find. I would say that it matters to me to find one in great condition and with proper box and papers. How many of those are out there? Yes, this is a modern Rolex that thoroughly deserves its place on my list of “future classics”. Yes but here name is Sophia LOREN. Fat Lady is "MeToo" compartible, we also have King-Size-Models now. once.....about 15 years ago.... I sat next to her on a plane. No, very good in my opinon. Before, I dont know the thing with the date. For me, Fat Ladys were just fat. So i learned something new! Need to check ... but I think the case is 0.5mm deeper. Such a small difference. I think I prefer Sophia Loren. I think that is right...... .....the no-date is just extremely rare. The date version with B&P is hard enough. The positive side is that it is not more expensive than a modern one.